‘Children learn to love where they are, by playing in it’, said Adrian Voce in his opening presentation at the Child in the City Conference earlier this month in London. 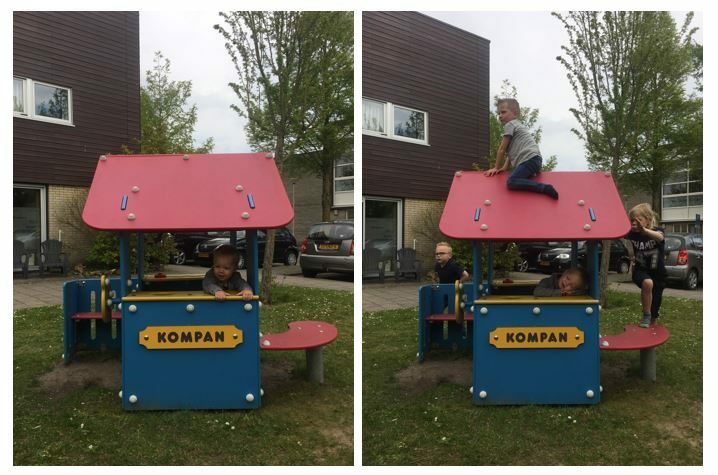 In my previous blog I shared some insights about playground design; another topic we covered during the conference and Urban95 Study Tour is risk. Most people would like their children to have the same kind of freedom when playing that they used to have themselves when they grew up. But they are also terrified of their child getting seriously injured, so most parents would like to see playgrounds do their best to avoid risks. But is this the right thing to do? The RBA, or ‘Risk-Benefit Assessment’, is an approach to balance risks against benefits. You can read about it in more detail in the aforementioned Managing Risk in Play Provision: Implementation Guide, which is co-authored by Till Gill from Rethinking Childhood, a London-based advocate for play in urban settings and a frequent collaborator with the Bernard van Leer Foundation over the past two years, who also led our Urban95 Study Tour along a few of London’s greatest playgrounds. Aileen taught us also that you could never take away risks completely even if you tried, because children will always look for risks. You can order ‘risk-free’ play equipment from brochures, but children will not always use them the way they are designed to be used – instead of climbing through, for instance, they would climb over. Children are always exploring and testing how far they can go. I remember this too from my own childhood. We used to have a big wooden playground just outside my house, which included swings, a slide and something to climb through. Although we really liked the playground, the most fun and exciting thing for us was that we could climb on top of it and crawl over it from one side to the other, since all the different parts were connected. Our parents didn’t like this, obviously, which made it even more fun for us to do. I was amazed by an adventure playground we visited in Islington called ‘Crumbles Castle’, which included a real castle, built using the stones of demolished buildings that used to be on the site. The castle was designed and built by the community, architecture students and children. Only children aged over 6 are allowed, and they themselves decide everything there. Crumbles Castle does not allow parents on the playground, except on so-called family days, and it can allow for more risks because it is staffed by trained playworkers. It also doesn’t have an entrance fee, which makes it inclusive for all children, regardless of social status. A fun fact I learned from the Ludicology study presented at the Conference is that children who use an adventure playground like Crumbles Castle turn out to be most satisfied with the time and space they have for play. And after visiting myself, I can really imagine why. I was curious to see whether or not we had something like this concept also in the Netherlands. Google gave me a few hits, but they were not quite the same: they did not give kids as much freedom in play, and also have an entrance fee. On the positive side, most had a play space specifically designed for the youngest children, which Crumbles Castle did not. 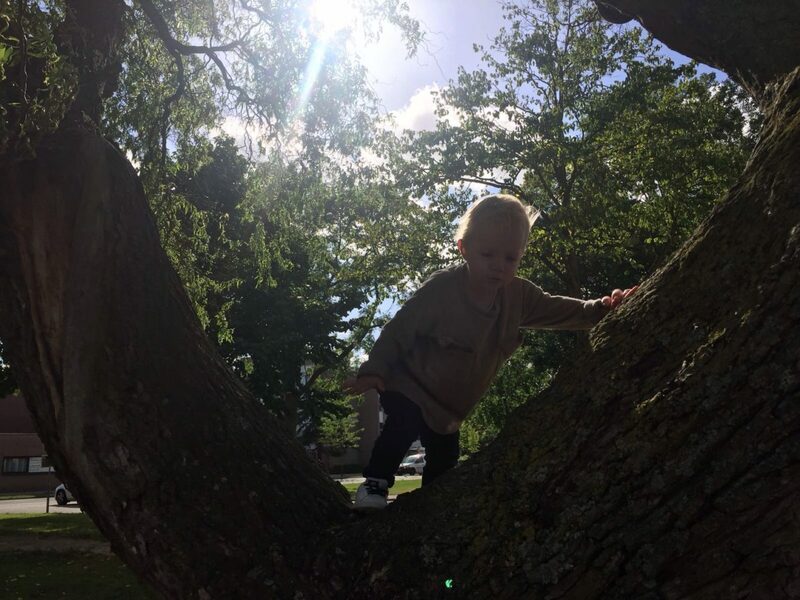 In fact, my online research into adventure playgrounds in the Netherlands brought up the nature playground at which my own son’s daycare is located – ‘De Speeldernis’, a word which combines play (‘speel’) and wilderness (‘wildernis’). At the conference, I had shown photographs of this playground to Meghan Talarowski from Studio Ludo, and explained that it has plants, sand, water and wood, and young children can really explore nature and get dirty. Meghan told me that such playgrounds do not exist in the US, where they would be considered too risky. A few weeks ago, the daycare centre had my son and his classmates outside even on a stormy day. The teacher explained: ‘We want the children to experience what wind is, so we are taking plastic bags outside in which they can catch the wind’. And yes, my son did come home last week with a scratch on his face, after another kid hit him with a branch of a tree they found on the ground. But occasionally getting hurt, as part of exploring and learning and feeling how far they can go, is what risk is all about.